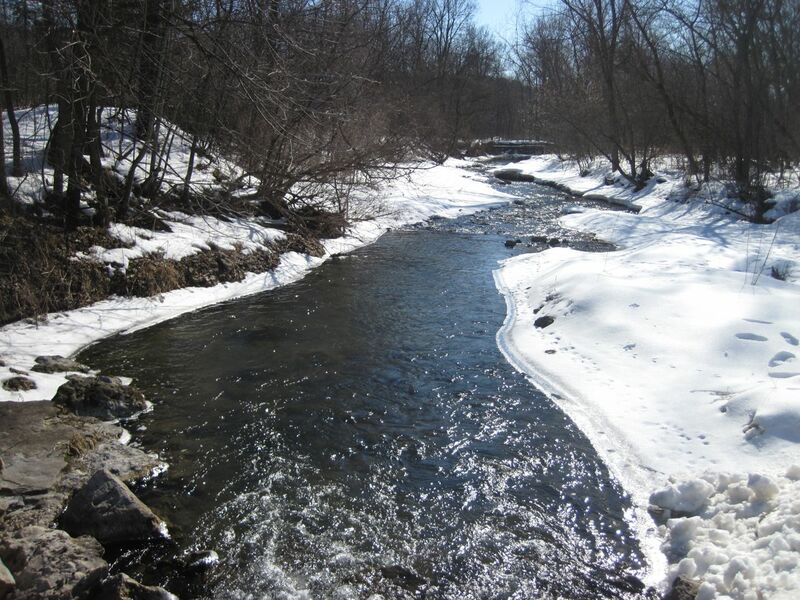 I mark the beginning of the fishing season with the Wisconsin early trout opener. Sure, there is some early trout fishing to be had in MN in January, and you can always hit the Mississippi if temps cooperate, but Wisco early trout really marks the shift for me. Starting on the first weekend of March it always hits as the temps just start to creep up and the reality of the Spring starts peaking around the mounds of dirty plowed-snow. As I report this, it snowed 7 inches last night and will dump another few before the end of today. I spent an hour shoveling this morning and had to lend the Forrester to the wife; no snow day St. Paul..really? The temps are going to climb up to 40 through this week and into next, so the river is gonna get muddy. We need the moisture though, so I’ll gladly sit the next week or so out. I feel extremely happy that I got out this past weekend to hit one of my favorite trout rivers with a great friend. The temps were in the mid 30’s, and the water wasn’t too far from that. Still icy cold. To add to the difficult conditions the river was extremely low and gin-clear. Low due to last year’s drought, and clear becuase we are just started to get some snow melt and run off occurring. We headed to a favorite section, a bit further from the crowds. There were a few dudes around, but nothing obnoxious. Lots of indy-rigs and nymphs. Not our style. We opted for dries and buggers. 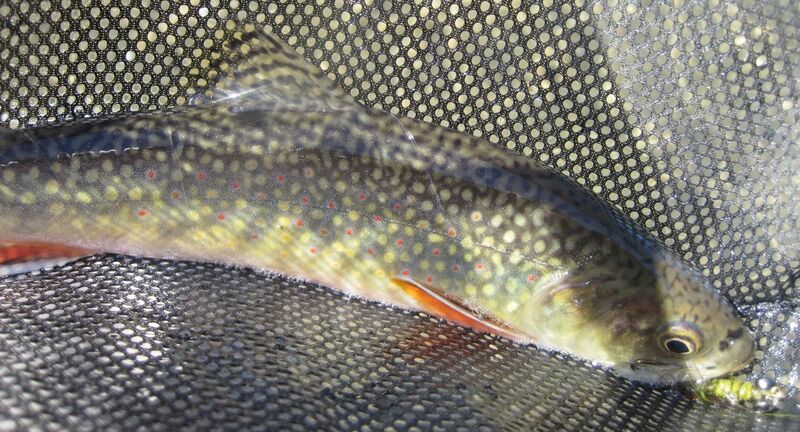 Brookies are plentiful in this section and will rise to a well presented dry. Buggers are always in the mix; I fish #8 olive green/brown with red flash almost exclusively for trout, all year long. I use a 5 weight to help shoot the weight, and I use various poly leaders with sink rates that match the depth and speed of the river. I’m always looking for the kyped jawed brown in the deep bends, holes and cuts. I don’t really mess around with glassy flat runs or pods of 6-12 inch fish, unless there is a good hatch going on dry flies are the game. How did we fare? We done good. A mix of nice brookies and browns, almost all taken on #8 buggers, on the strip. Damn the cold, low, gin-clear water. Fish those buggers with confidence. I hope ya’ll are getting out again; scratching that itch, enjoying some lunch time beers, hanging with good friends, and making stories for 2013. How to buy my art! Packing up for a steelhead trip right now. I cant wait to get out. Gotta scratch that itch. Are you and MZA going to head over to the NW when our trout/beer-fest season opens? We’ve got a lot ‘bows and cutties that’ll take those buggers. There’s a little town called Oakridge that straddles some great trout waters and has an all-cask pub. So make sure to check that out if you ever get the chance.